My travel albums are just begging me to share them! It was Easter, 2012. We’d been planning this trip for 4 months and were excited to finally be underway (we originally had planned to visit in 2006, we even had a flight booked, but our travels were thwarted one week before we were due to leave, by troubles in Colombo surrounding the Tamil tigers). Our first stop on the long journey from BC Canada, to Colombo in Sri Lanka, was Dubai, where we stayed for 2 nights to rest our weary heads and overcome some of the west-to-east jetlag. What surprised me here was how backward it seemed in some ways; I felt exposed and a little uncomfortable in some parts of town. Yet in others I felt like I could have been in any tourist resort in the world. The malls were immense, the sky-scrapers literally reached the clouds. Our hotel was awful, but the people running it, mostly Filipino immigrants, were kindly and caring. I even got a lovely manicure done, in prep for the Hindu wedding I was set to partake in, in just a few short days time. An upgrade to business class on our way to SL! We were going to Sri Lanka specifically for my gorgeously glamorous friend Vithiya, for her Hindu wedding. Her and her (now) husband Vimal were wonderful hosts to us and Vithiya’s family literally treated us as their one and own. It was the experience of a lifetime and created glowy, golden memories. Before and during the wedding period, we stayed in a busy bustling part of Colombo, in an apartment that Vithiya’s father had rented for us and a few of her family members. It was hot. I’m talking ‘not even worth wearing deodorant’ hot. But how wonderful to experience actually living among the locals, eating the spicy fish cutlets and other Sri Lankan delicacies at the small local ‘cafes’, and zooming around the dusty streets in a tuk tuk. There were too many amazing foods to count! But my favourite culinary delight had to be string hoppers, curried and served with a fried egg on top. Mmm mmmmm! I simply can’t eat curry without an egg on it these days. The wedding was another once in lifetime experience, full of colour, music, and exotic scents. I was absolutely honoured to realise that I was in fact a ‘bridesmaid’, and got to carry a lantern onto the ceremonial stage. But wow, being dressed in a heavy sari, made up to the nines, in 42 degree C humid, sticky, heat was quite difficult. Even the bride was struggling with the temperature. Luckily, we were all so engrossed in the ceremony and so happy for the new bride and groom that we forgot about it by the end of the night! Vithiya was stunning. The feasts before and after the wedding were also something I wish I could have brought back with me. Look how bright and appealing all the food looks. It’s not every day you get to see so much colour in one meal. After our time in Colombo was up, we were privileged to have the company of Nathen the driver. Over the subsequent week, he took us to all the major tourist spots around Colombo. We visited tea fields, Pinnawala elephant sanctuary (my favourite! ), the Sri Lankan botanical gardens, the Temple of the Tooth (fascinating! ), and too many other temples and points of interest to count. We saw monkeys swinging through the trees, bats hanging from boughs, and elephants bathing in rivers. We ate, we ate some more, and we drank lots of tea. 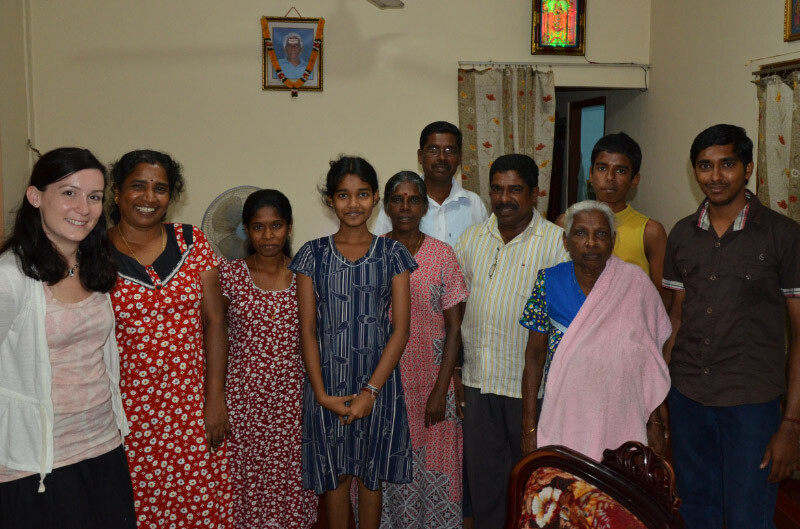 On a dark night, when the power had gone out over a vast area of southern Sri Lanka, we even had the honour of meeting Nathen’s family, and being fed by his sweet mother in his childhood home, which was tucked away in a jungle area, next to a stream. Eventually, tired but tantalized by everything Sri Lanka had to offer, we ended up in Bentota, by the beach, for the remainder of our holiday. Here, we relaxed. We swam in the violent sea, fell in love with a few stray dogs, visited the local turtle sanctuary and… ate. A lot. 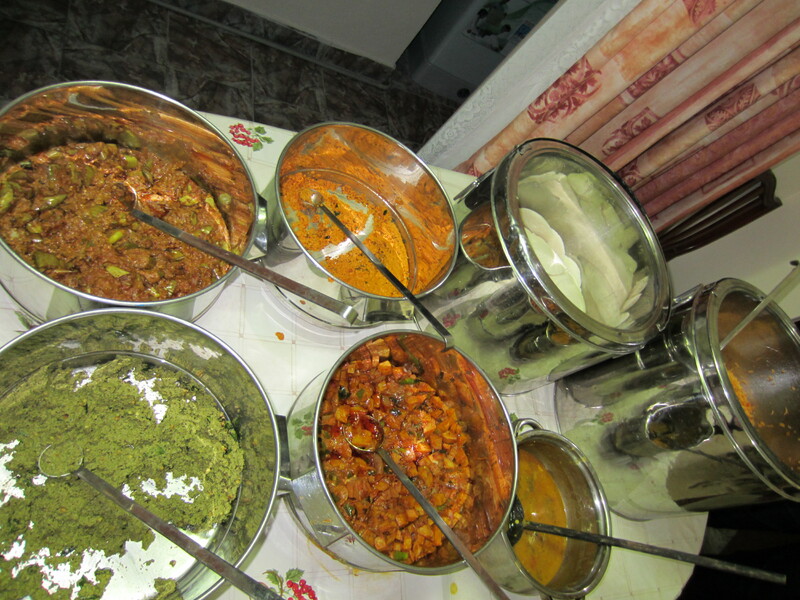 Mostly curry, even for breakfast. This entry was posted in lifestyle, photography, travel and tagged Bentota, curry, elephants, food, Pinnawala, Sri Lanka, string hoppers. Bookmark the permalink.